I Mohan was sitting in his cab­in at 9 AM, pouring over emails, awaiting his coffee. 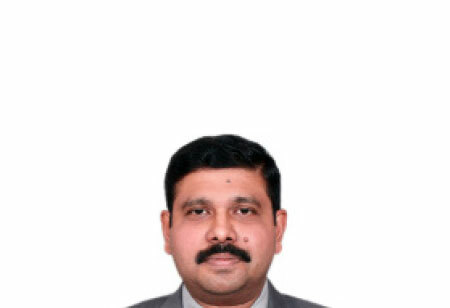 He worked as a Business-Unit Head in e-IT (8) - an IT company headquartered in Pune and known for delivering agile projects. Mohan was an excellent negotiator, proud of his past successes, and extremely short-tempered; the combination was dreadful. “It is not working!” he mumbled to him­self, frustrated. Diana, his assistant, had just entered his cabin to ask him about a conflicting meeting schedule. She had been working with Mohan for 3 years; every day was unpredictable, especially his emotional out­bursts. As she heard Mohan talking to himself, she pre­pared herself mentally for another adventurous day. "Taking a hard re-look at the way we work and ensuring alignment with business will set us up for success"
Vaguely hearing Mohan, she enquired, “What’s not working, Mohan?” afraid it is one of her mistakes. “Schedule a meeting with the training guy… what’s his name?...Santosh, is it?” Mohan ordered. Diana knew Sriramas a soft-spoken guy, with a slight South-Indian accent. He had joined the company 5 months back. She felt sorry for him, knowing how his day would be with an impending meeting with Mohan. “You want it today?”She enquired in a feeble voice. “Yes”, he spitted out, annoyed with the childish question. “ok… schedule him over lunch. I will ask Vinod to lead the governance meeting in my absence. And ask the Pantry boy to get my lunch heated and bring it to my office”. Sriram was in a meeting with his team when he got a call from Diana. “Hi Diana, how are you today?” Sriram asked in his usual cheerfulness. “I am good, Sriram. Mohan wants to meet you. He wants to meet you at 1 today”. Diana realized she forgot to return his greetings in the urgency. Sriram’s mind started racing about the possible rea­sons why Mohan wanted to meet him at such short notice about the training. The training had gone pretty well, he thought. He had ensured that the trainer from the product company meets the Project manager to align with their expectations. The trainer was patient enough to address all the questions in class. The participants were impressed by the training. Well… Mohan possibly wants to appreciate me for the good job done, Sriram thought, pleased with the value-add he is starting to make in the organization. He started gathering all the information about the training, so he will be able to answer any question Mohan might ask. The outlook reminder flashed, 15 more minutes to go. Oh, yeah, the feedback. Participants had greatly praised the training. Sriram peeped through the small opening in the glass cabin, Mohan was still busy with his last meeting. Diana was seated just outside Mohan’s cabin. “Just a few more minutes, Sriram” she informed. He waited out­side impatiently, admiring the abstract painting on the wall. “Hi Mohan, how are you?” Sriram began the conversa­tion as he entered Mohan’s extra-ordinarily large cabin. “Not bad. Did you see the PHI report?” Mohan jumped at the topic, wanting to get it over with and grab his lunch. “Project Health Indicator.” Mohan continued looking at his monitor while speaking to Sriram. Sriram didn’t have an answer. He had done everything possible to ensure that the training was effective. And now, what is the PHI report Mohan is referring to? Nobody had told him about that. “Well, the training was a success. We got good feed­back. 5 out of 20 participants also got an ‘A’ grade in the assessment.” Sriram defended. Sriram wondered, “What do I do now? More important­ly, what do I tell Mohan so I don’t get eaten up?”?Sriram wasn’t too smart, but he knew he could solve any problem if he applied himself to it. “OK..the training fixed the lack of knowledge amongst the team. And the assessment indicates that it was suc­cessful. It is possible that there is a gap in applying the skills on the job. Let me do an RCA and work with the proj­ect team to fix it, will keep you posted on the corrective action.” Sriram replied. Mohan liked the no-BS response, but wasn’t too con­fident about it. Anyway, he himselfwas equally to blame; he should have brought Sriram onboard about the pur­pose before initiating the training. The trainingwas only a means to an end. “OK, go ahead” Mohan dismissed him, his thoughts turning to the next meeting victim. As Sriram took the elevator down, he made a mental note to study the PHI report. The PM possibly can give a better view of the issues on the ground. As he sat at his desk, Sriram thought “How did I get into this situation?”. He had forgotten about lunch. He needed someone to talk to, to discuss his thoughts and concerns openly. Seeing his colleague Pushpa online, he started chatting with herand explained what happened. “What did I do wrong?” he asked. “That depends on what did you set out to do in the first place” Pushpa answered. “Well, I set out to training the people, based on the training requirement” Sriram answered. It all dawned on Sriram, now. He did everything to please the Project Manager and the participants without knowing what the business outcome is. The participants appreciated the training, they scored well in assessments. But it was the quality issue that had to be fixed. “I know of Kirkpatrick model, what is this new thing?” Sriram enquired. Sriram had known the Kirkpatrick model for his entire career in Training, but only as a theoretical model for measuring effectiveness. And not so practical for the most part. “Well, it is just a model that helps you ask the right questions before you start a training intervention. It will help clarify what you set out to achieve. 1. You understand what business results are expected by who and why (Level 4). If you had asked this question right in the beginning, you would have learnt about the PHI and its metrics. 2. Then you work out the desired skills and behaviors needed (Level 3). In this case, you would have also consid­ered aspects that cannot be covered in a classroom. Easy isn’t it?” Pusha added. “Why didn’t I think about it earlier?” he wondered.